forum.prostatitis.org - View topic - Whats New in research? 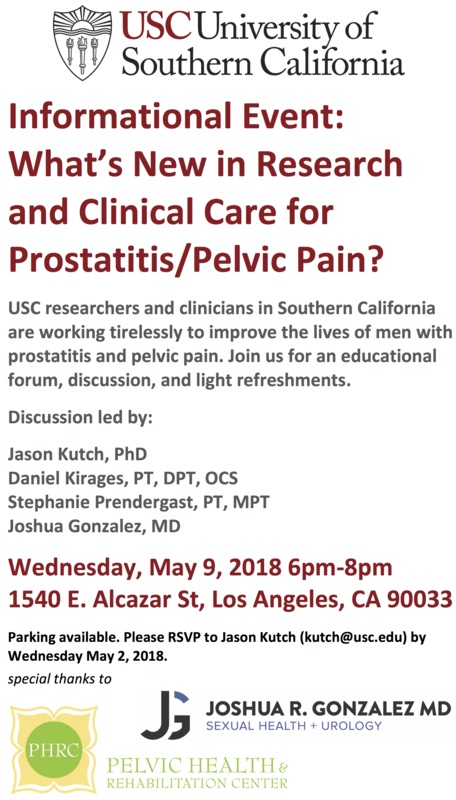 Information about a meeting and discussion in L A about prostatitis and pelvic pain being held May 9th! We are in hopes you patients in California will attend. Check it out! Re: Whats New in research? I would love to attend but I live in London so not possible. I encourage everyone who is living within a reasonable distance from the clinic to join and share any useful information gained. This is the best way to find effective treatments by uniting as a group and collating our experiences.